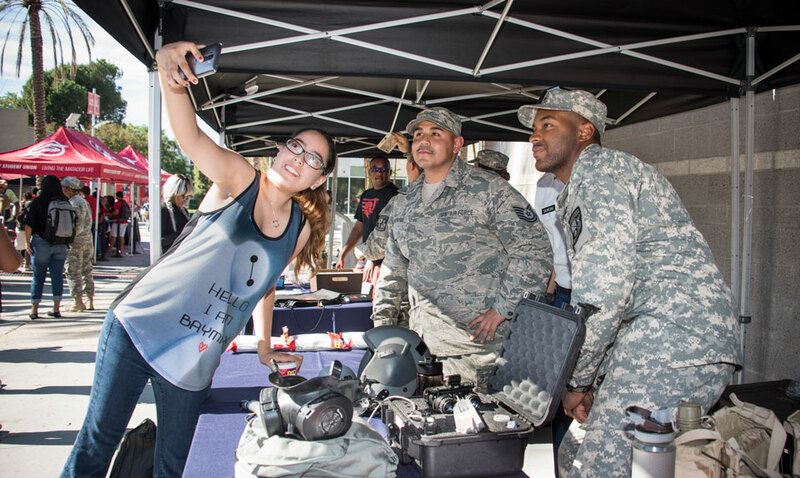 A CSUN student takes a selfie with veterans at the We ❤ Our Veterans party on Nov. 10 in the University Student Union. Photo by David J. Hawkins. Veterans showcase military gear at the concluding event of the We ❤ Our Veterans week. Photo by David J. Hawkins. 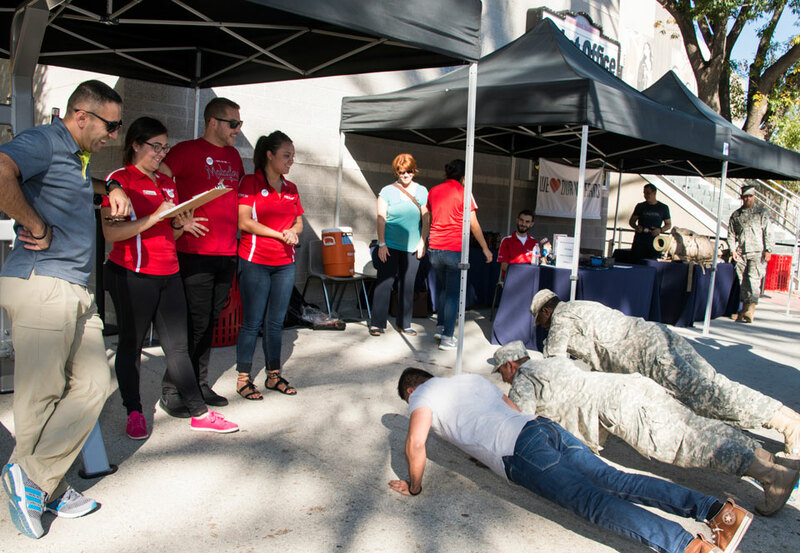 Veterans challenge students to a pushup competition, to win prizes. Photo by David J. Hawkins. The We ❤ Our Veterans Party at the Plaza del Sol offers free food to visitors. Photo by Lee Choo. 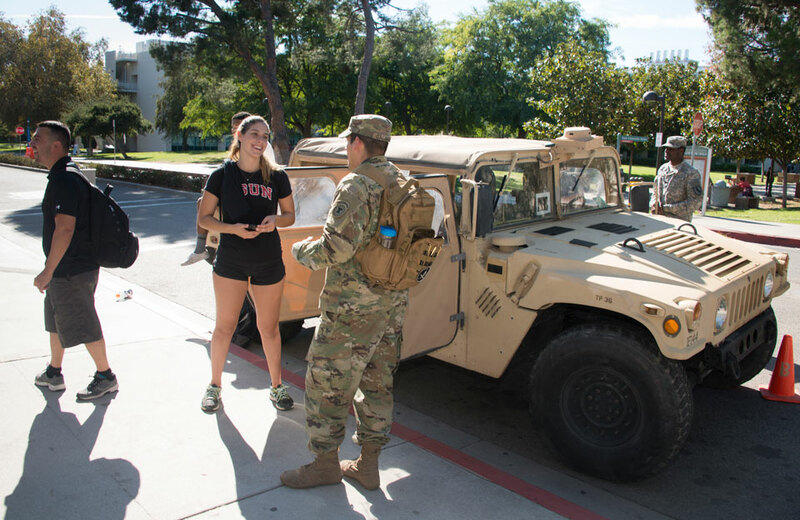 CSUN students visit with veterans and check out a Humvee at the We ❤ Our Veterans party. Photo by David J. Hawkins. 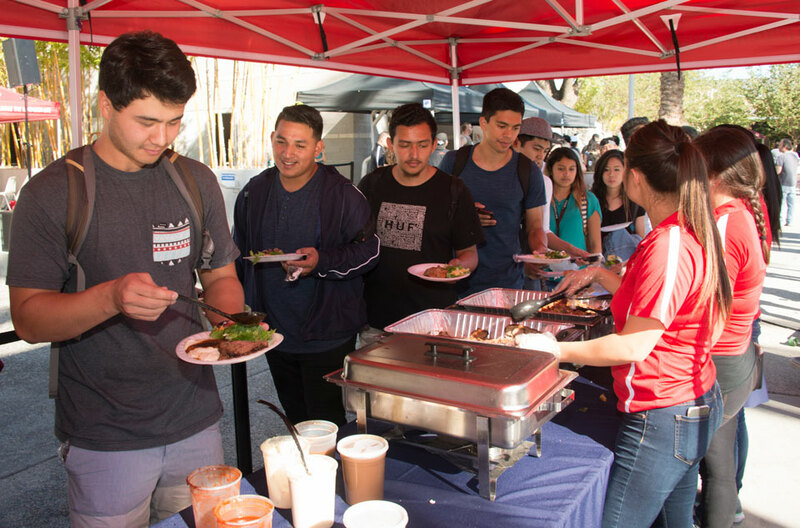 California State University, Northridge students, faculty and staff gathered at the Plaza del Sol in the University Student Union on Nov. 10 to celebrate CSUN’s veterans and allies. The Veterans Resource Center (VRC) organized the event, providing free food, music, games and prizes such as T-shirts and water bottles. Some veterans challenged visitors to a pushup competition and showcased military gear. Many students took selfies with veterans dressed in their military clothes. “For us, the primary mission of Veterans Week is to celebrate people who served the country, and to raise awareness that we have students here on campus who are veterans,” said Patrina Croisdale, coordinator of the VRC. 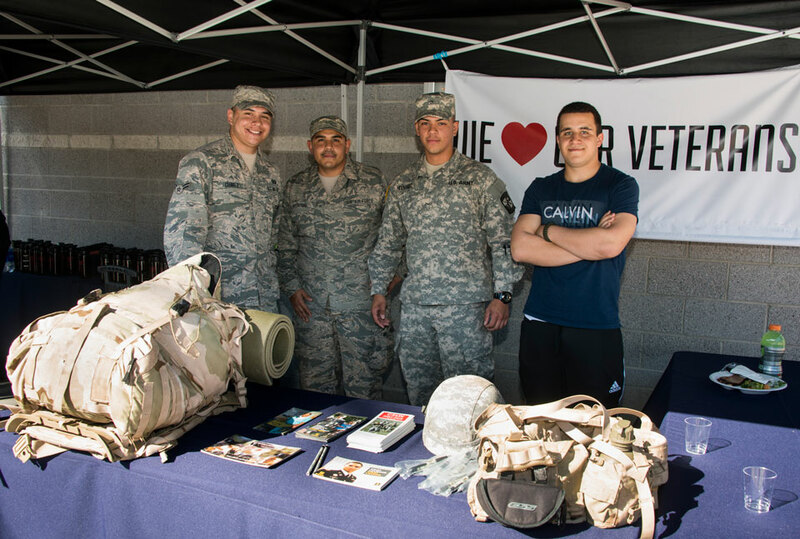 Other featured events during CSUN’s We ❤ Our Veterans Week included a 5K run and display of American flags — as a memorial to fallen soldiers — in front of the Delmar T. Oviatt Library, a VRC open house and two veteran ally workshops.